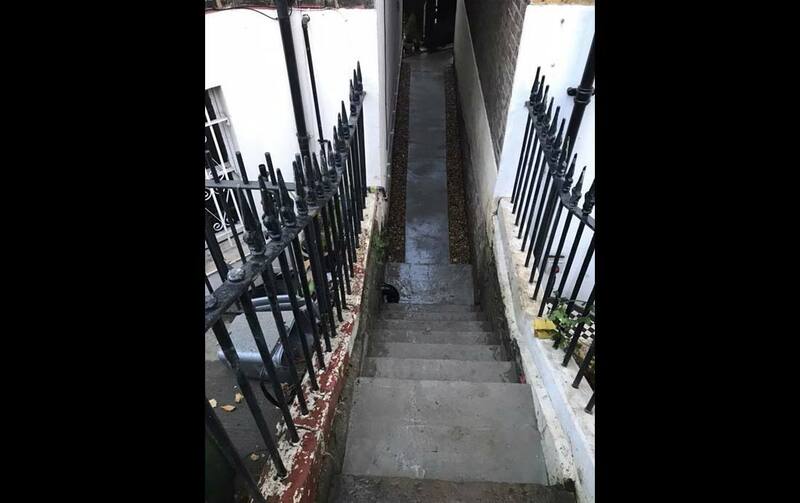 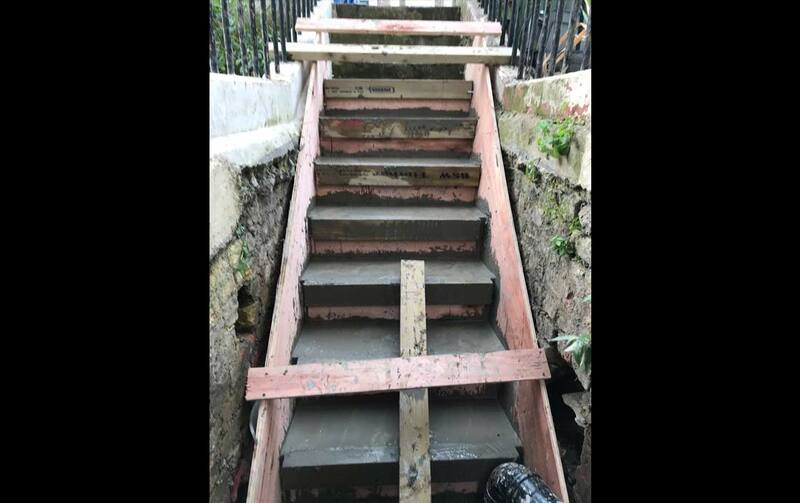 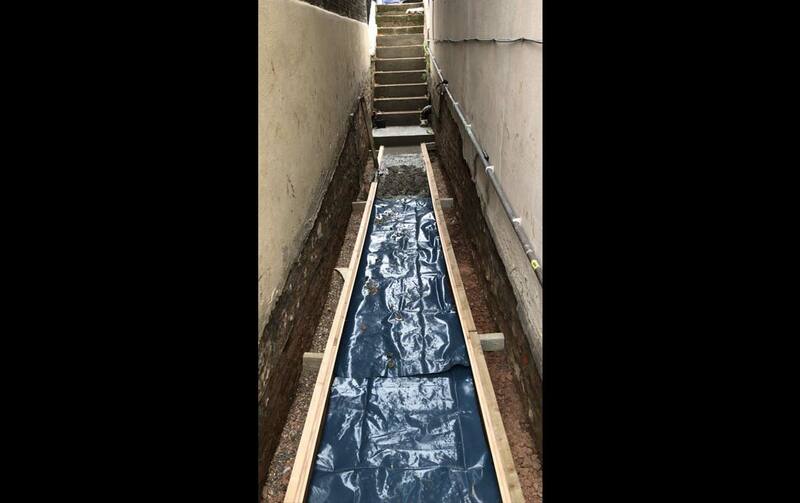 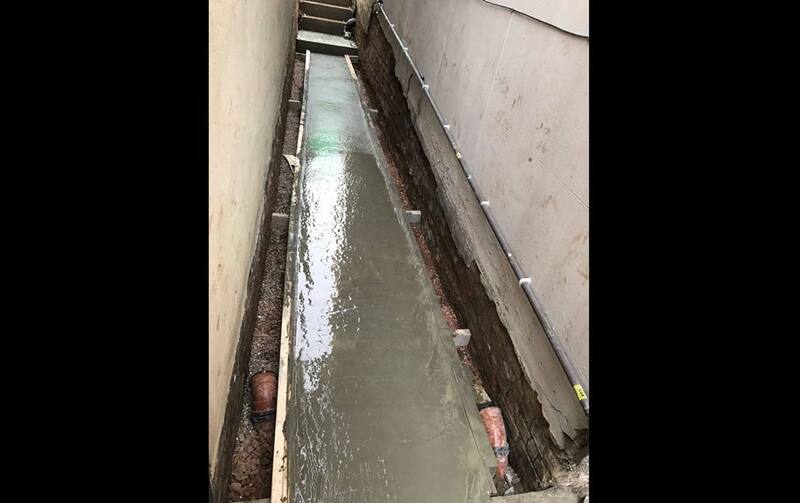 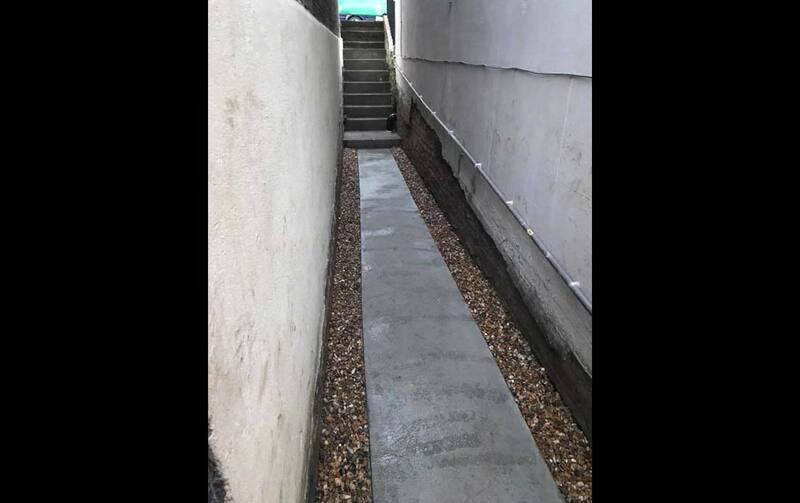 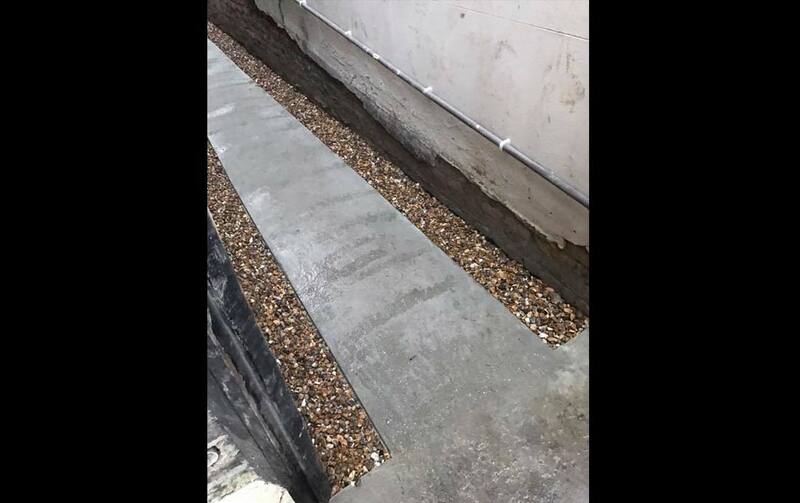 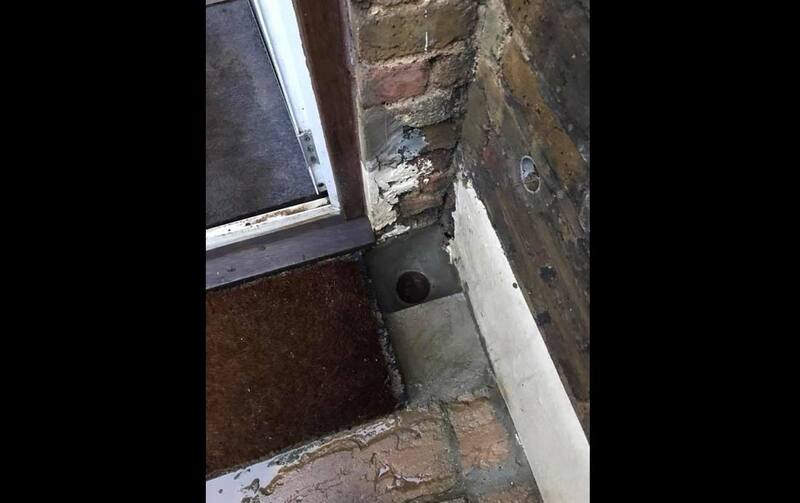 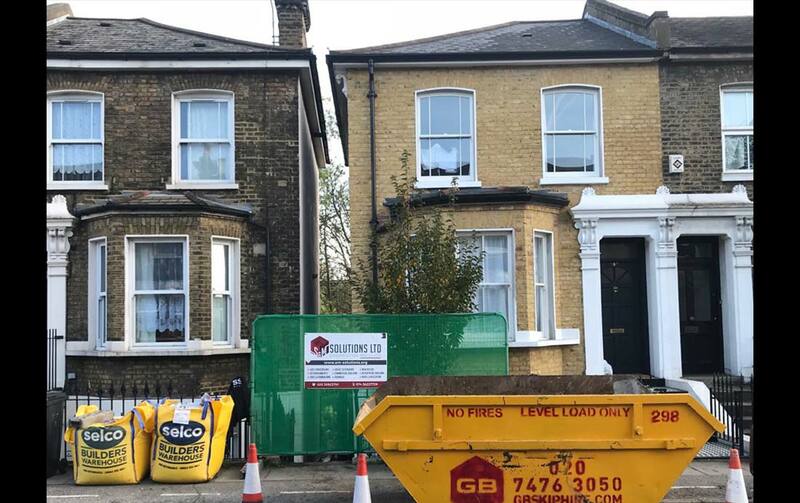 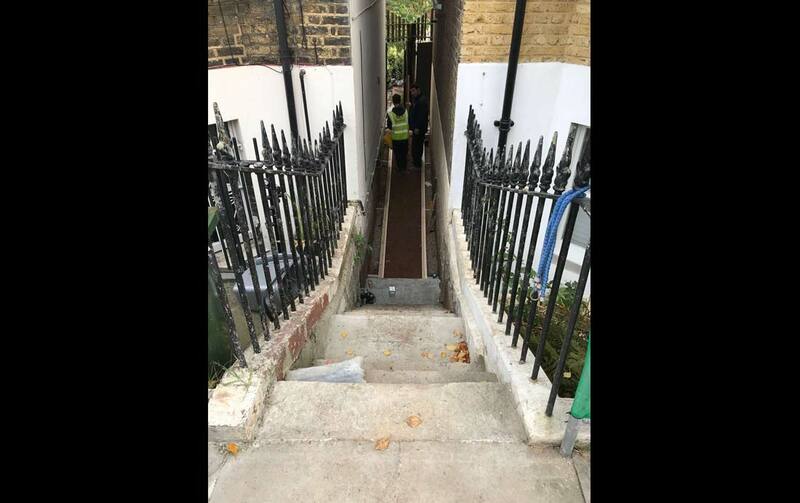 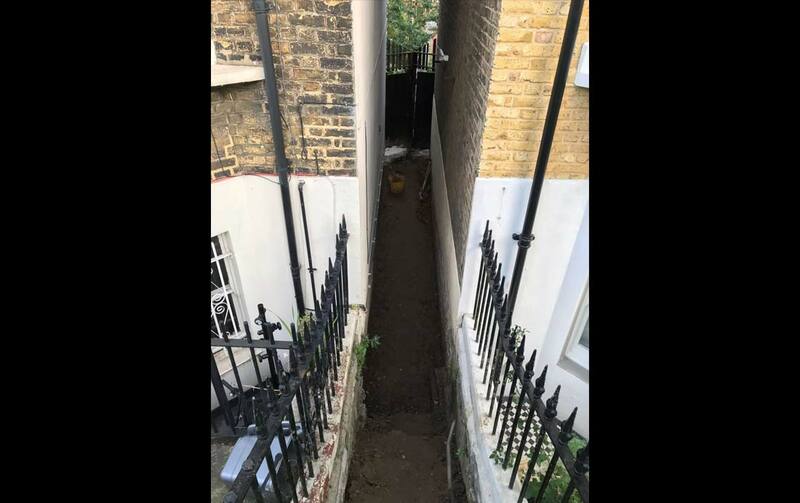 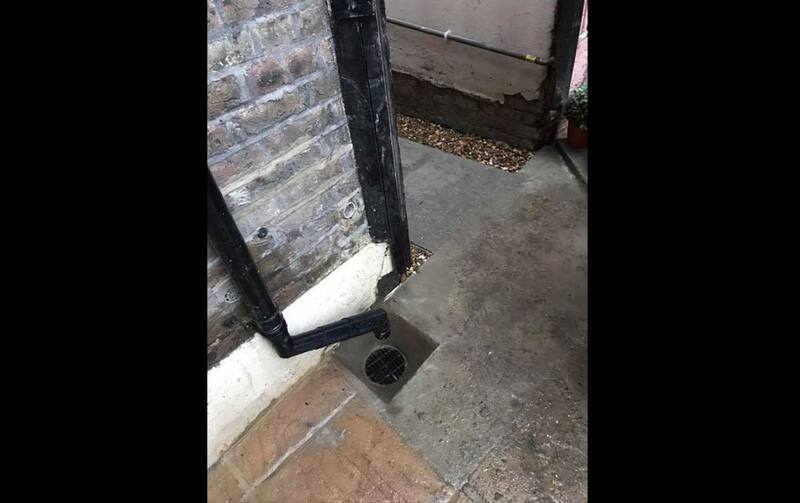 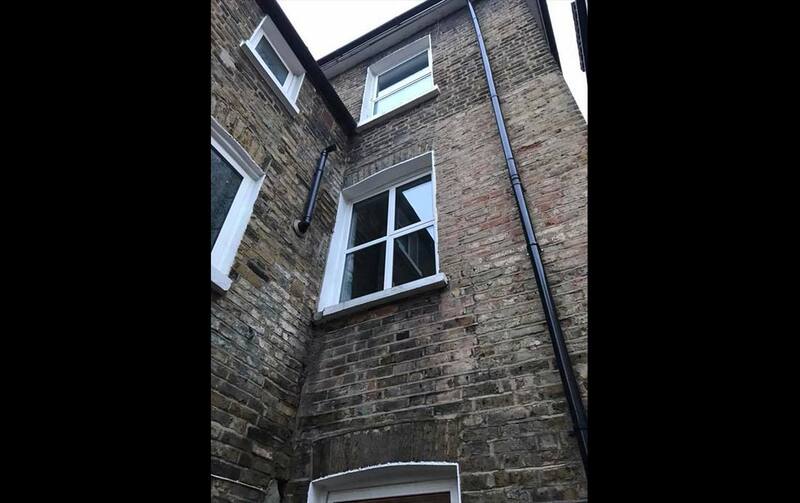 French drain, storm drainage, footpath and concrete steps in New Cross SE14 – London. 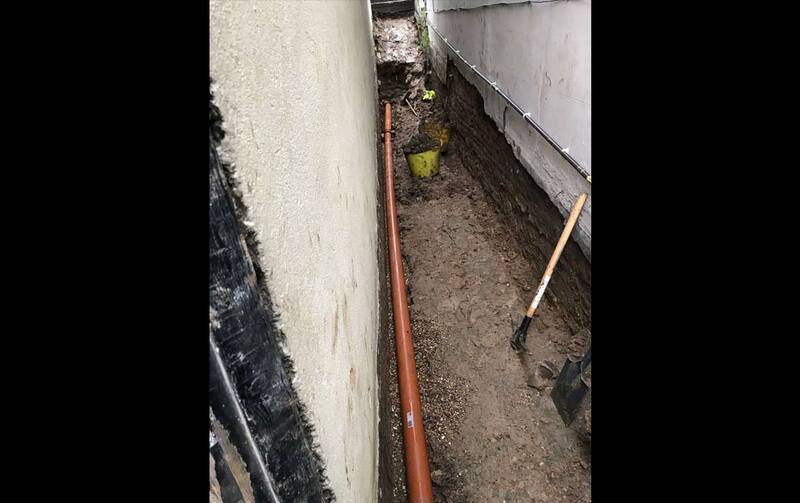 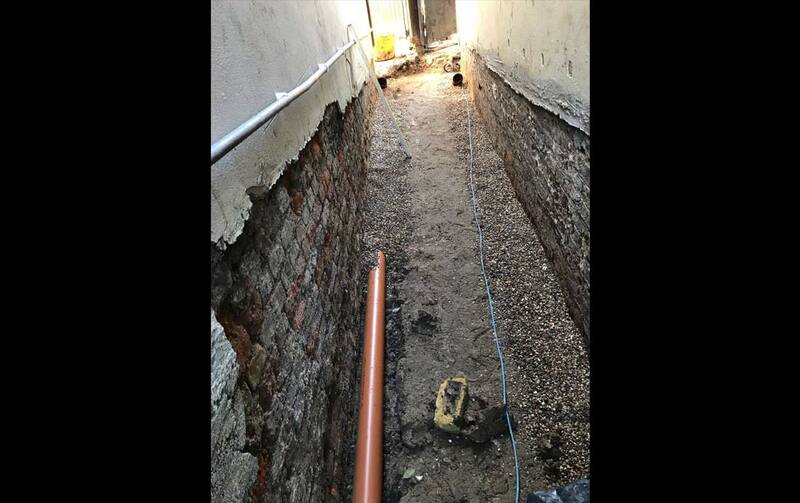 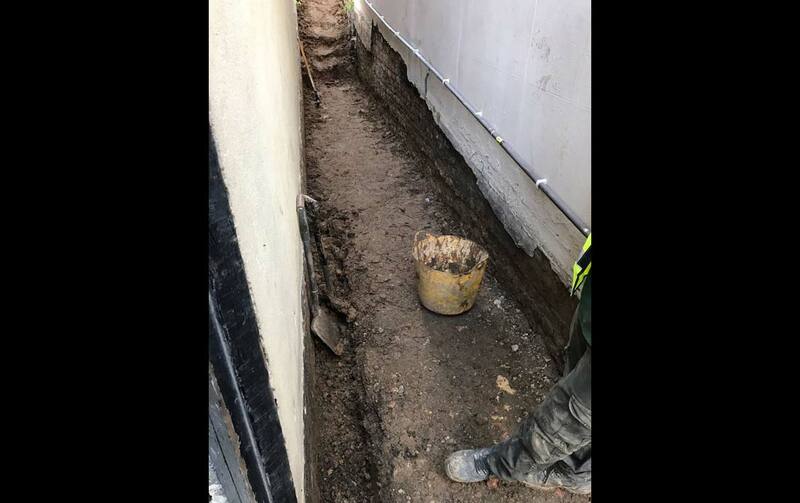 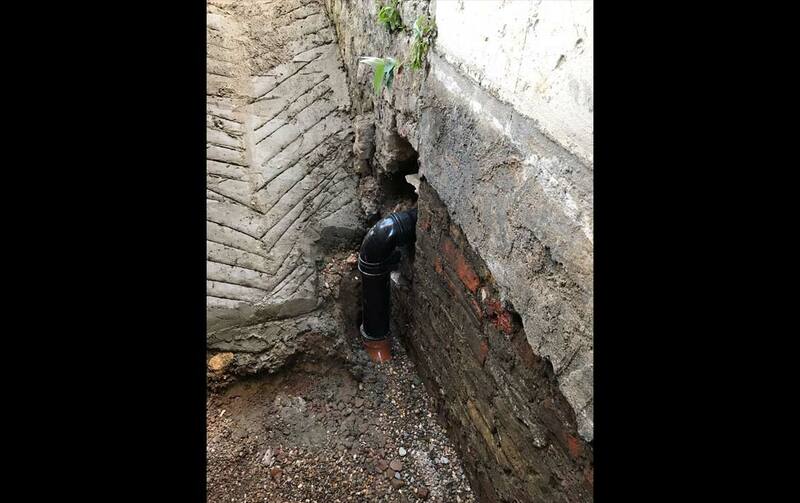 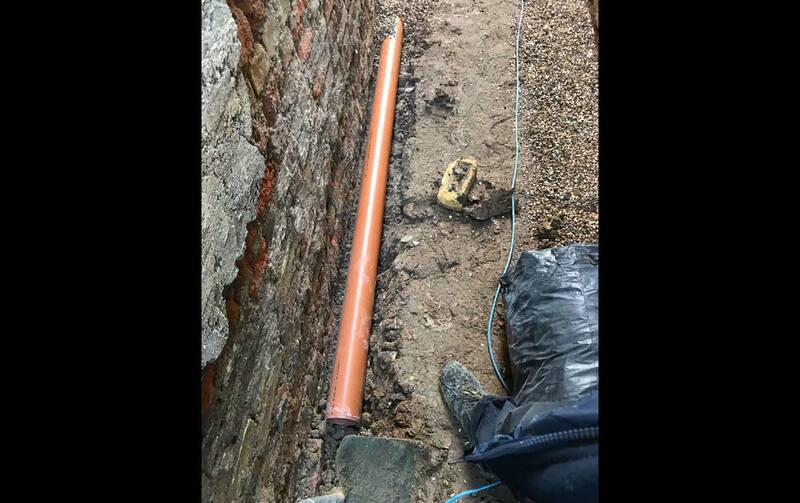 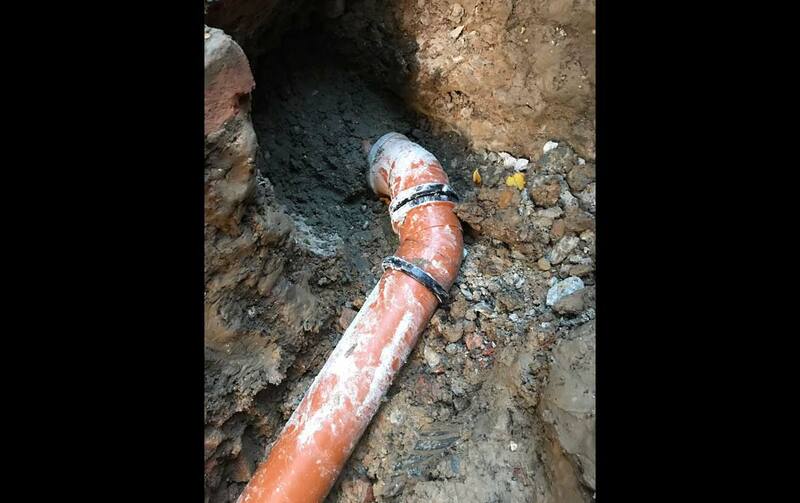 The job covered reducing the external level of the alleyway footpath, removing old clay storm drainage including the old gully’s. 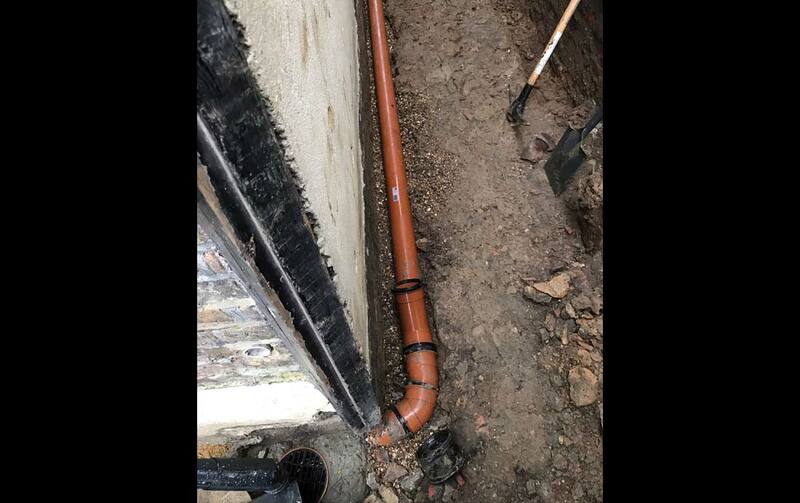 Installing new storm pipes and a french drain. 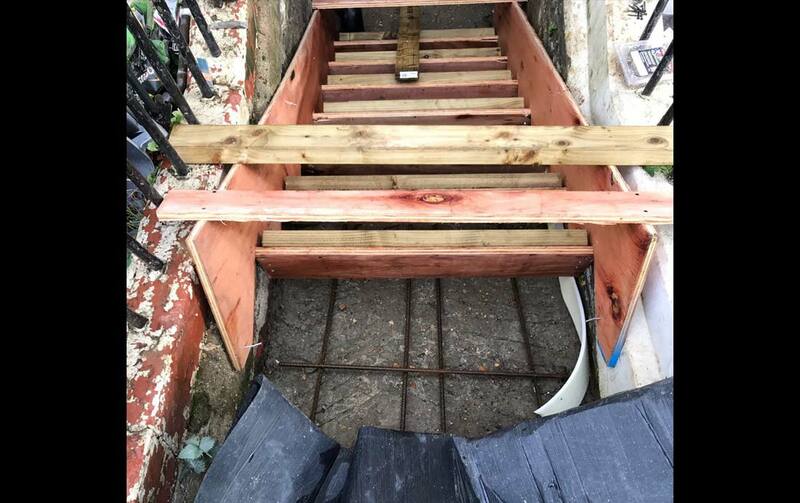 Building new concrete steps and a concrete footpath for access to the back garden.